Had he managed to avoid disaster against Tony Thompson and, last time out, Erkan Teper, Liverpool’s David Price would arguably have been right in the mix to challenge heavyweight ruler Tyson Fury in a fight or three’s time. 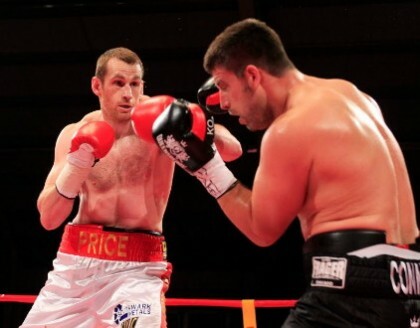 Price, who holds an amateur win over Fury (“I’m still the last Englishman to beat him, by the way,” he told Sky Sports recently) launches his latest comeback on May 29th and he says he still harbors a desire to get the chance to mix it with Fury. Price will fight a TBA on the Bellew-Makabu card in his hometown but after that the former Olympian hopes to be back in there with a chance of getting a world title shot. Price told Sky Sports he believes fights between himself and Fury or Anthony Joshua would appeal to the fans. Seemingly anything can happen in the sport of boxing, but it’s realistic to say how most fans would be shocked to see Price in the ring with Fury or Joshua. Price might get that couple of comeback wins under his belt, but would either champ look his way with regards to a fight? The problem Price would face is, he would represent a challenger who would offer Fury or Joshua too much risk and little reward. Price can bang and if he were to tag either champion, he might cause them problems. While if either star KO’d him in a round or two, the critics would say the result was predictable due to Price’s stoppage losses to Thompson and Teper (who both failed post-fight drugs tests after their wins over the Liverpudlian). So Price likely faces one big uphill struggle when it comes to getting himself a title shot. Let’s see if the big puncher who has shown major vulnerabilities can bag himself one, two or three comeback wins under new trainer Dave Coldwell. Price still believes, even if many fans do not.